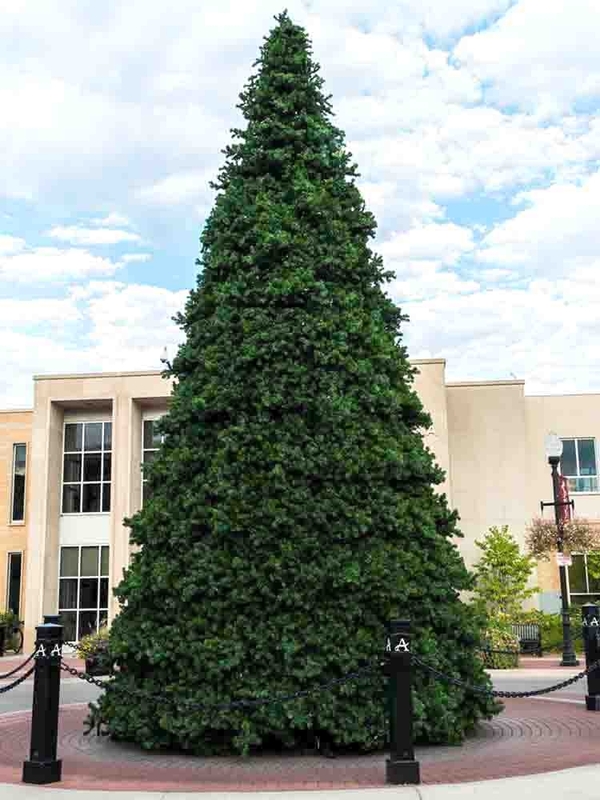 The Grand Teton trees are an outdoor commercial grade tree. The 1 inch green tubular steel frame is Powder Coated for a long life. Each frame section is bolted on top of one other. The branches hook into the steel frame (See Photo). 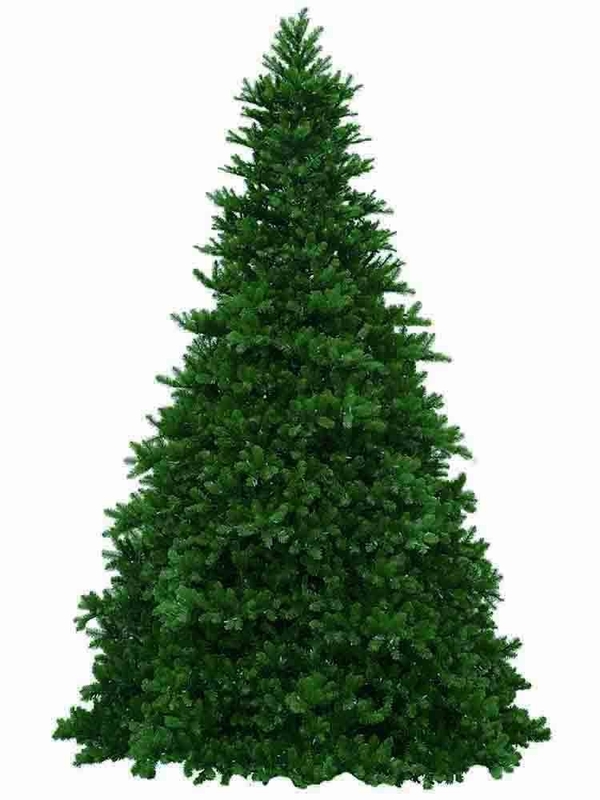 The branches are made with .14 x .14 weatherproof and crush resistant poly vinyl. The branches use an 18 gage wire that is oxidized. The branches are 24 inches long (See Photo). 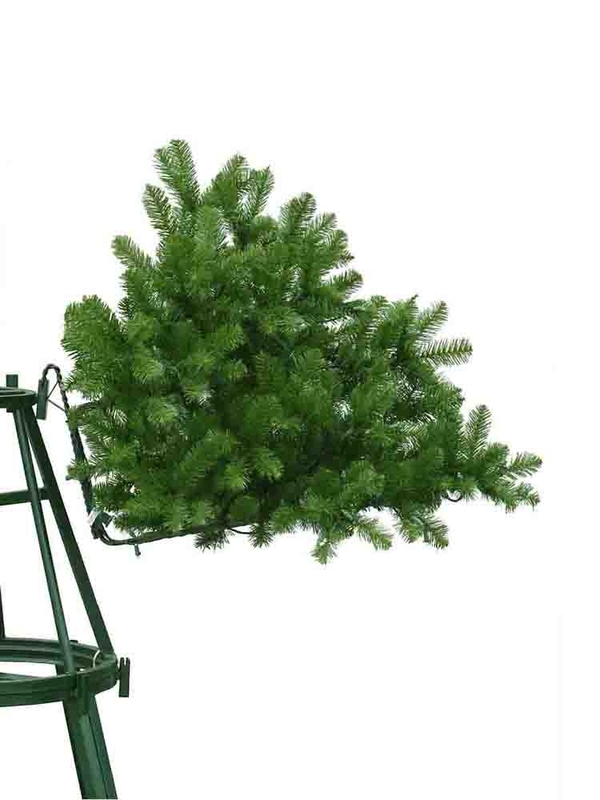 A small tree is used for the top and it has hinged branches. For shipping and storage the tree is packed in a metal crate with caster wheels.